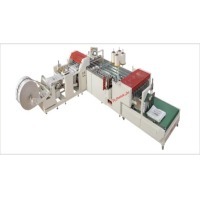 Browse plastic-bag-machinery suppliers by country and region. Bangladesh origin all kinds of Jute products, Fresh potatoes, coconut, pet flakes and cotton rags.Export, Buying Agent. Short on time? 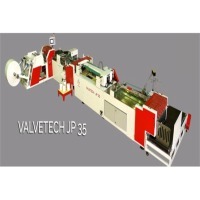 Let plastic-bag-machinery sellers contact you. This side seal cutting bag machine adopts micro-computer technology to display operation instructions on a touch screen. It also features photo-electric tracking, fixed length setting, accurate position stopping, and high speed bag production. Included with this machine is also an automated counter alarm. (L x W x H) 165 x 58 x 82. This is a servo drive bottom sealing machine to make plastic bags. Weight is around 1 to 2.5 tons. This is a servo drive side sealing machine. Which makes plastic bags Weight would be around 2 to 3 tons. This is a servo drive pocuh making machine which makes center sealing, three side seal etc. Types of pouches. Weight 2.5 to 4 tons. ATA Machinery (Guangzhou) Co., Ltd.
China Korican Machinery Co., Ltd.
Han King Plastic Machinery Co.,Ltd. Features: The recycle plant designed for reproducing general kind of waste products such as: waste pp/hdpe films, flat yarns, woven bags, woven sheets, bad quality products and so on. The production out is 80 kg/h-260 kg/h. Plastic processing machinery, plastic extrusion machinery, plastic grinding machinery, plastic mixing machinery, plastic washing machinery, plastic agglomerator, blown film plant, tarpaulin plant, LDPE pipe plant, plastic screw & barrel, bag making machinery, PVC pipe machinery.